I recently got asked to make a lifeguard cake for a young man turning 18. In principal it is a fairly simplistic cake. It is going to be 10 inch round, there is going to be the beach and sea, maybe a couple of star fish. 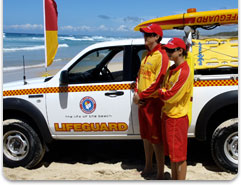 However on the beach will be a Australian Lifeguard looking out to sea watching the swimmers and possible shark. All the figures will be made with chocolate – which I’ll be preparing tomorrow. The lifeguard will be using binoculars (not that I am making this difficult lol). I know the cake will look great when I’m finished it’s just getting to that point. I was meant to do the chocolate today, but life just got in the way of that idea. Once the modelling chocolate is being prepared, I will also be trying a new chocolate recipe to make chocolate paste. You can use it to cover cakes, and to make roses etc. The recipe has come from a library book that I got today. I believe that with the likes of Google, many people have forgotten or can’t be bothered to check their local libraries for sources of information, I know I had. And that was a mistake. I came home with 4 books, including one all about edible flowers. I don’t believe I’ll end up loving gardening, but would really love to incorporate edible flowers in and around my cakes, there is something very organic about it. The theme for the wedding is vintage glamour and inside will be layers of chocolate mud and white chocolate mud. Covered in more chocolate. I will upload photos as I go for the lifeguard cake and prep for the wedding cake.